We know that all (or almost all) living things need air to survive. But do you know how and why? 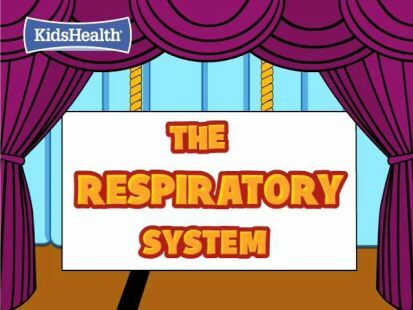 Let's peek inside the human body with Sam the Invisible Man and listen to and highlight the important points from the Respiration Song. Look for the lyrics in your Science duotang! Key Question: How does your respiratory system work? Open your BC Science Probe 5 Textbook to page 92 or go to Chapter 4 Respiratory System on the iPad. 1. As you read about the respiratory system complete each sentence on the worksheet for Section 4.3 in your Science Duotang. 2. Place your hands on your ribs while you reread the paragraph on page 95. Use the words in the paragraph to describe what you feel as you breathe. Label the organs of the respiratory system on the worksheet picture. Now read through the Lightbulb Minds worksheet in your Science Duotang. Use your highlighter to identify only the most important terms. Visit the online animation of the Anatomy of Breathing - pay particular attention to how the diaphram operates. Choose one of the following hands-on activities to complete. 4. How Much Air Do Your Lung Hold? Follow the steps found in your Science Duotang. Use a digital or video camera to document the steps and answer the questions found on the worksheet. Share with the class or post on our Blog. Before we move on it's time to study for the quiz on Chapter 4. Go to the Chapter 4 Review on pages 96 and 97 of your your textbook or iPad and your notes. You can choose one of three ways to study. Answer the questions on page 97 of the textbook in full sentences and hand in. Use Inspiration or your own drawing to make a mind map of Chapter 4 (follow the steps in your Science Duotang. Be sure to include drawings and definitions and hand in. The following words are important: cell, tissue, organ, system, stomach, esophagus, lungs, trachea, oxygen, carbon dioxide, alveoli, diaphram, small intestine, large intestine. Once your Quiz Homework is complete you can take the quiz. Now is the time to check out the apps. First go to Anatomy - I Know My Body - once you've chosen your body go to the menu and pick the section called "BREATHING".